Yo! MC: The Next Jam! 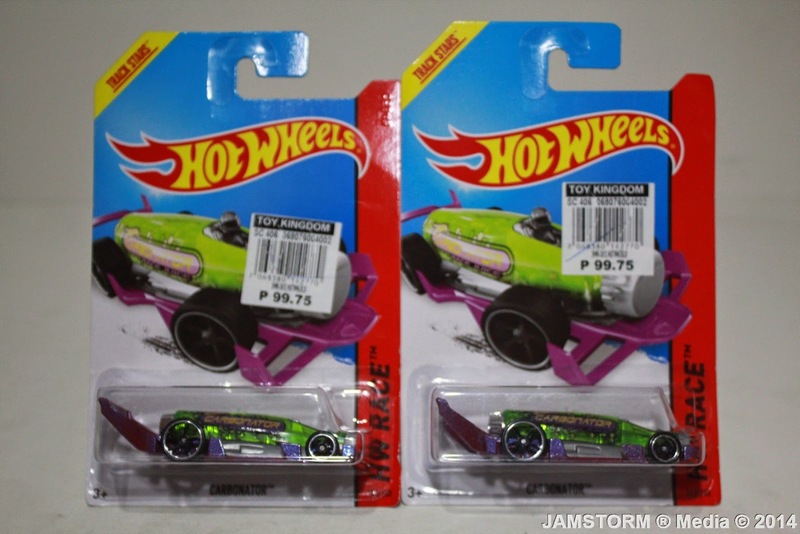 08.21.2014 – Hot Wheels has been innovative with its designs for diecast cars. 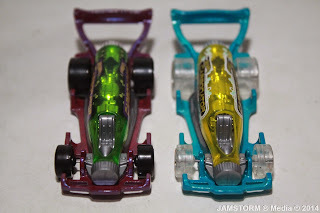 From realistic licenses brands from Chrysler, Ford, and other known names in the automotive industry to licensed cars based from comic books, videogames, TV shows, and anything related to Popular Culture. It also established some unique design cars that seem unreal to be made into a real vehicle unless someone actually did make one. But Hot Wheels leads the way when it comes to things that are created “out of the box” and that are where some cares like the Carbonator thrives to be interesting. 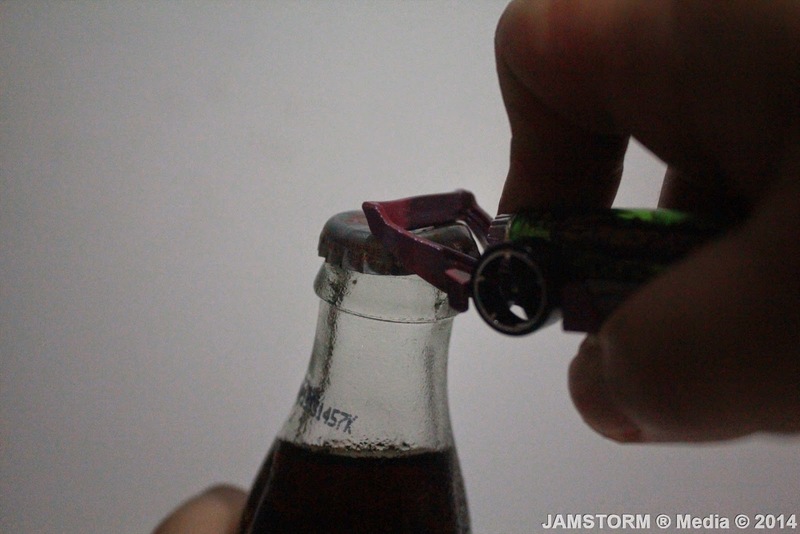 Carbonator is a care designed based on a glass soda bottle on wheels with a large spoiler styled as a bottle opener. 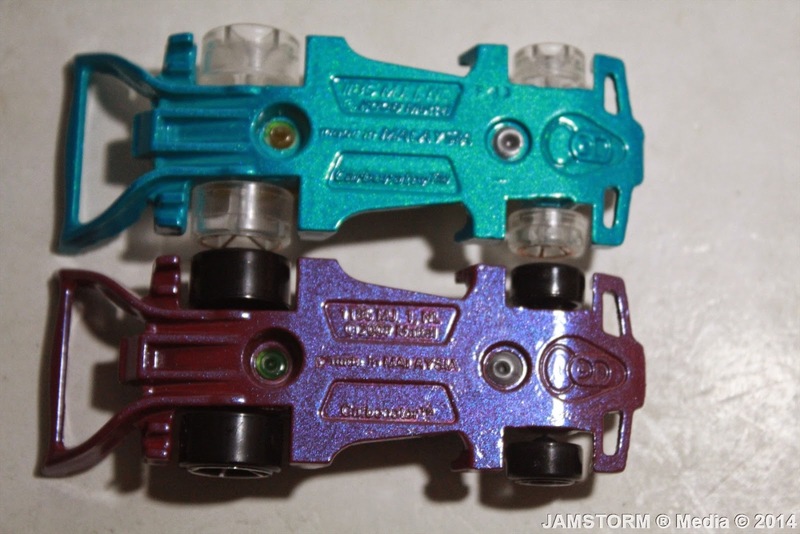 It’s designed by Alton Tokayasu which first made its debut as part of the 2008 New Models. 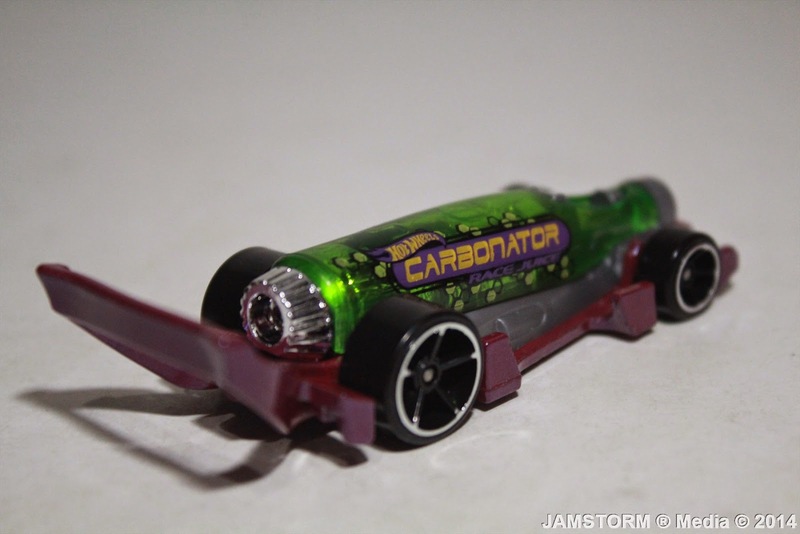 This the tenth variation of the Carbonator as earlier this year there was a Clear Yellow version that’s part of the 2014 Hot Wheels line and its part of the sub line for HW Race designated in the group for the X-Raysers. It’s colored in Clear Green with Yellow, Purple & Black tampo, 'Carbonator Racing Juice' on both sides. 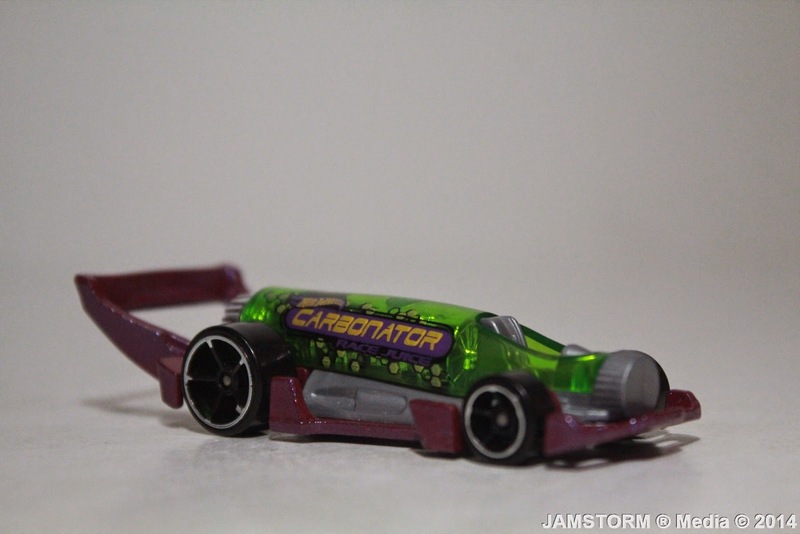 The chassis is in Pearl Magenta painted over metal and the interior is painted in Metallic Grey, while the tires come in black and chrome linings. 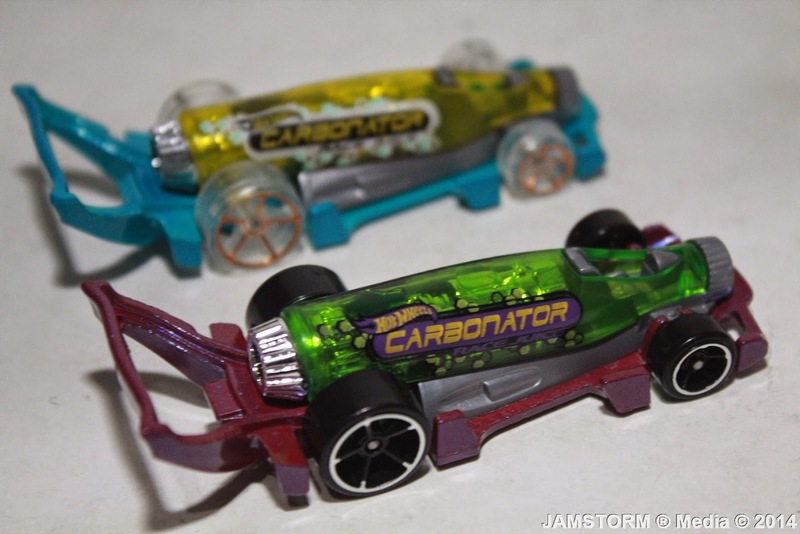 Most casual collectors would pass up on awkward looking designs like the Carbonator due to its unrealistic concept, and would rather pick up a Porsche or a Lamborghini instead. But those who are not only into diecast cars and sees them more than just a Hot Wheels car for track racing would know how these are innovatively unique. The Carbonator is not just a car that looks like a glass soda bottle on wheels it has another use for it off the Hot Wheels racing track. It actual use can be seen as a bottle opener if you’re not looking closely, and its simple “out of the box” design is the reason why the Carbonator stands out. 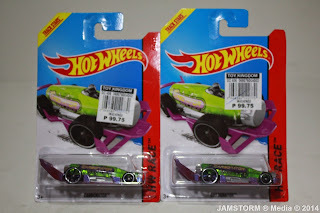 Mainstream Hot Wheels collectors won’t even bother looking at it unless someone told them that it has another use outside the diecast car collecting community. 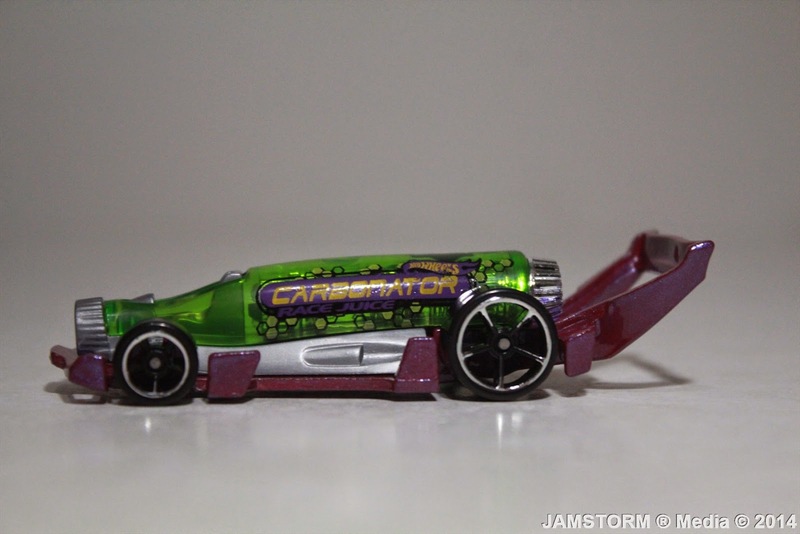 The spoiler’s shape disguises itself as part of the car but turns out it’s actually a bottle opener. 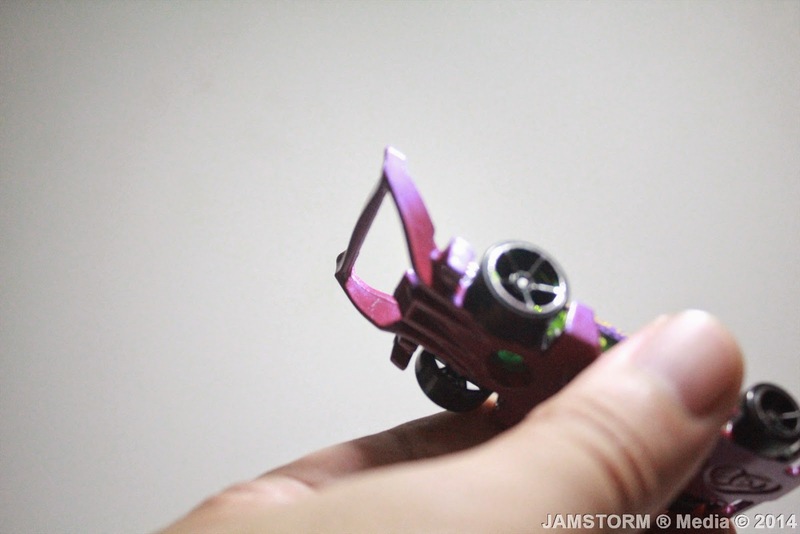 The metal chassis is sturdy enough to have casted to build the spoiler its use. Manson Cheung translated the design into a digital file and added some elements like the “pop top” on the chassis bottom at the same time made adjustments to making Takeyasu’s design to be track worthy that can race with other Hot Wheels cars. The overall design won’t attract those who are only keen in collecting real life cars in diecast collectible form, but for those quite intrigued by its design will definitely pick this one up from the rack. 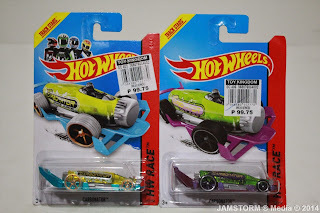 They are not rare as everyone thinks and can be found in any toy section or department store that carries the Hot Wheels products. 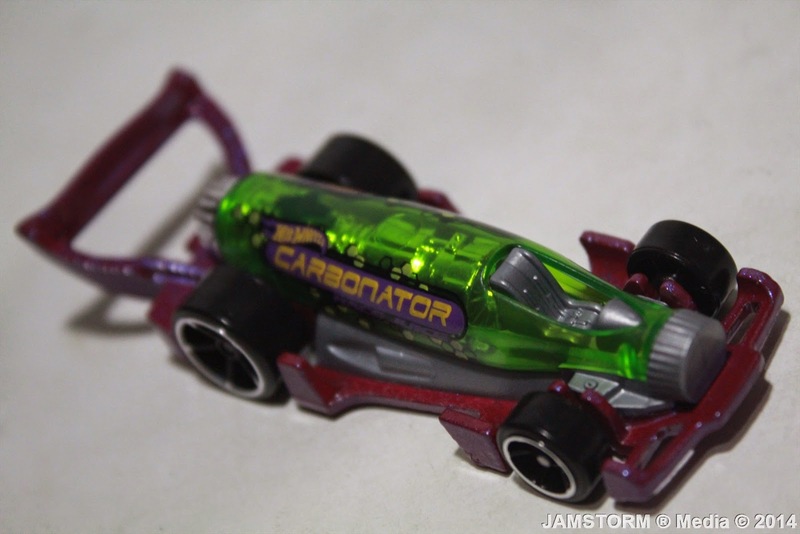 All you need is dig up for them and you can find the latest incarnation of the Carbonator. 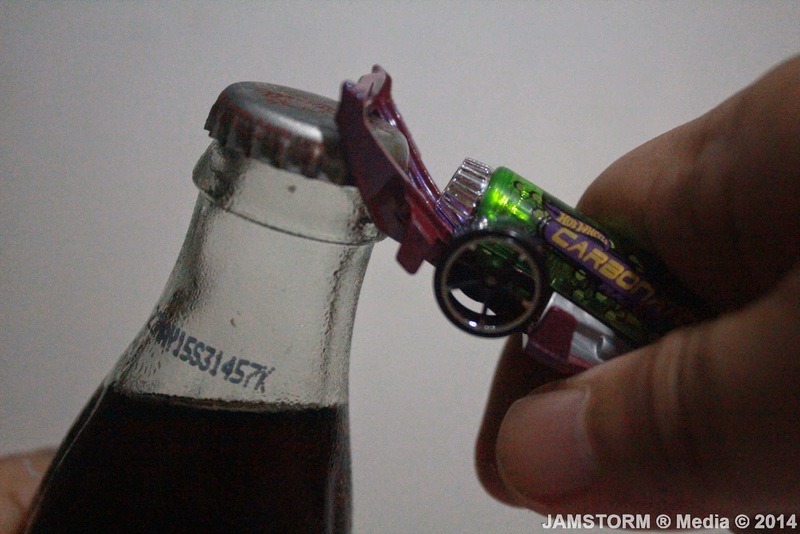 Just a little warning in using them as bottle openers, as metal caps can scratch the Carbonator’s paint in the spoiler. 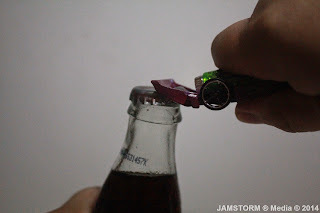 You only need to open the bottle caps slowly to avoid the paint scratch, and it’s not a pretty sight if you open a soda bottle in a hurry. 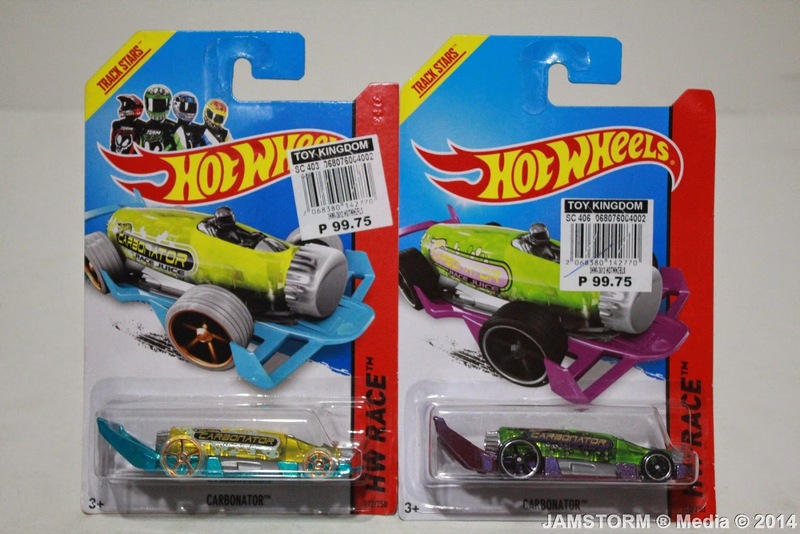 Carbonator is part of the X-Raysers designated under the HW Race for the 2014 Hot Wheels line of collectible diecast cars numbered 172 of 250. 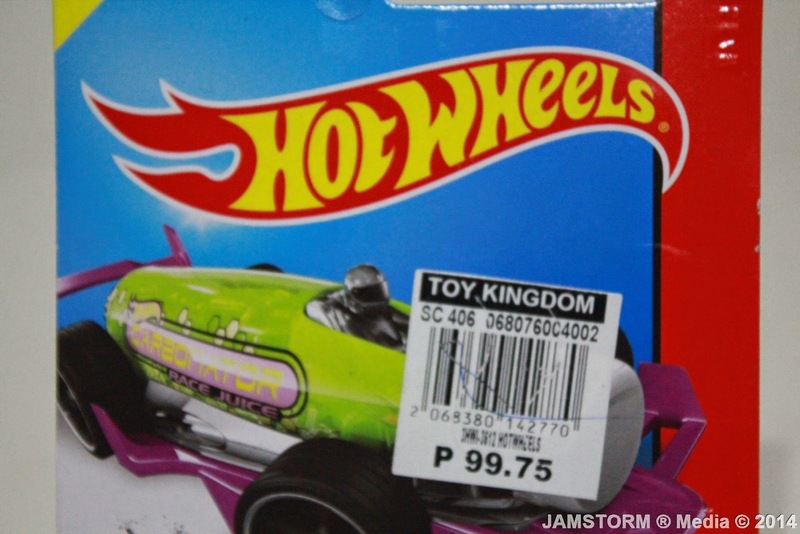 Hot Wheels is manufactured by Mattel Inc. and locally distributed in the Philippines by Richwell Marketing.